Social Media Design has become an essential form of branding and marketing for all businesses. 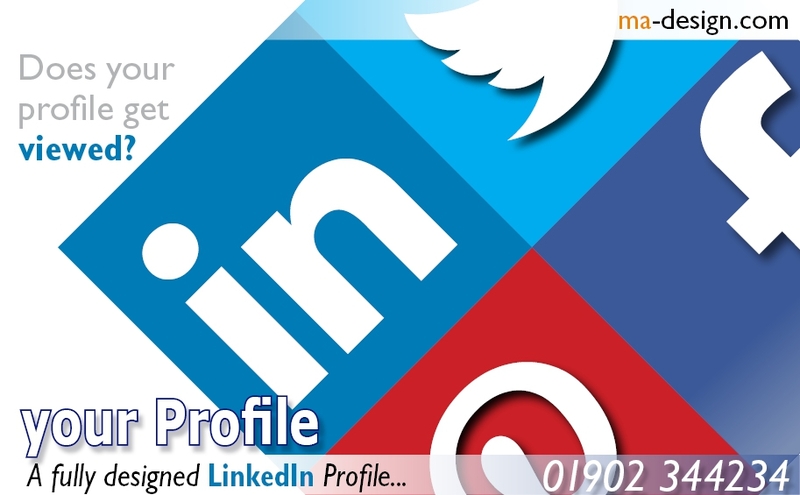 Getting your business profile on LinkedIn, twitter, Facebook many other social media platforms is paramount towards securing future business success. We specialise in creating Company Profiles that create the right IMPACT that could help in gaining you new business opportunities. Social Media is now the common currency, creating both brand awarness and marketing success for both products and services. Do you Like it? 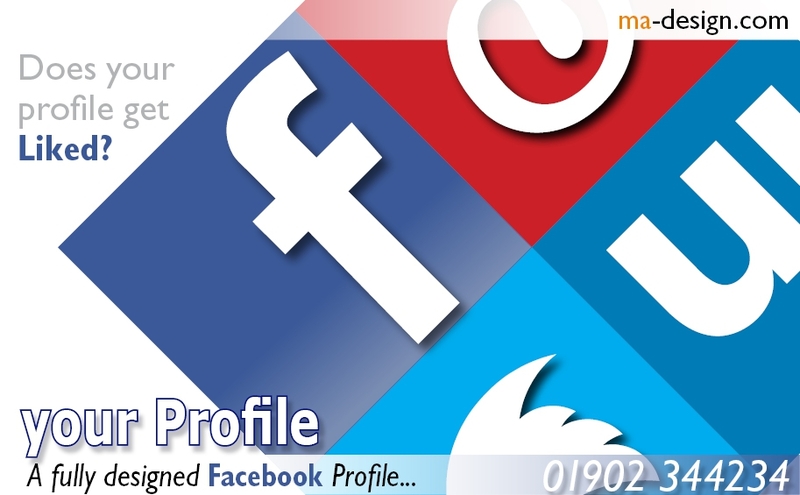 ma-design.com Design, Marketing, PR and Social Media, Based in the West Midlands, since 1987. We look forward to speaking with you very soon. Our commitement to providing a focused Design Management service for our clients is backed by our 32 years working within a wide range of industries and market sectors, including: Charitable Trusts, Automation and Control, and Automotive. As being involved with both web design and hosting since 1996, we specialise in providing Web Site and Data Hosting solutions to meet exacting business needs for both access and security, from: Social Media marketing, PHP Programming, to Email Hosting. We aim to please our customers doing our best to provide you with a quality experience, whether you are looking for; Social Media Designer, or want Vehicle Signwriting services. We will always be pleased to talk with you about Product Photography, Business Presentations Designer, or Printing needs.